Manufacturing workers may one day slip into an exoskeleton to help them lift objects safely, researchers in the European Union say. They are developing a robotic exoskeleton device that workers can wear to prevent injuries from lifting. The researchers hope to create a device that is easy to maneuver, wearable and intelligent. The device would help workers perform repetitive lifting tasks, which frequently contribute to musculoskeletal injuries. 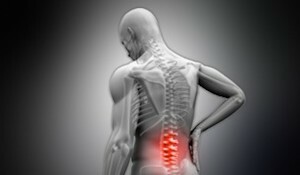 Musculoskeletal injuries are linked to thousands of workers’ compensation claims filed every year. The Robo-Mate project, with 11 European partners, aims to prevent the kind of injuries that are normally associated with lifting activities. Such activities take place in assembling and dismantling operations common in the automotive and food-processing industries. Even though these activities have been automated to a large extent, many manual tasks continue to place workers at risk of injuries. The device could boost workplace production, because safer lifting activities would increase work efficiency and reduce the number of workdays lost due to injuries.